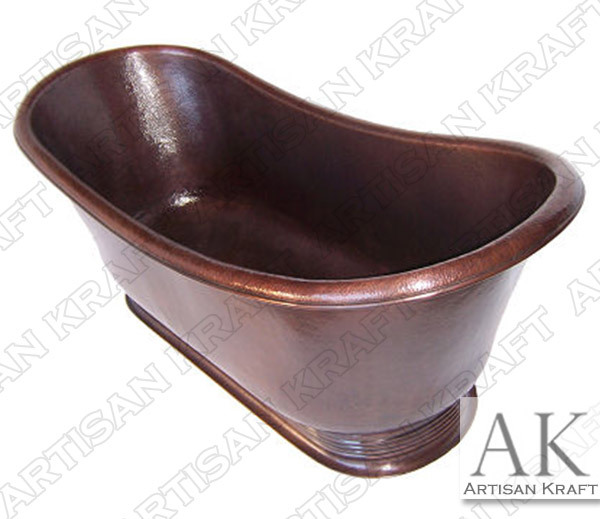 You’ve made the right choice when you have chosen to purchase a copper bathtub. 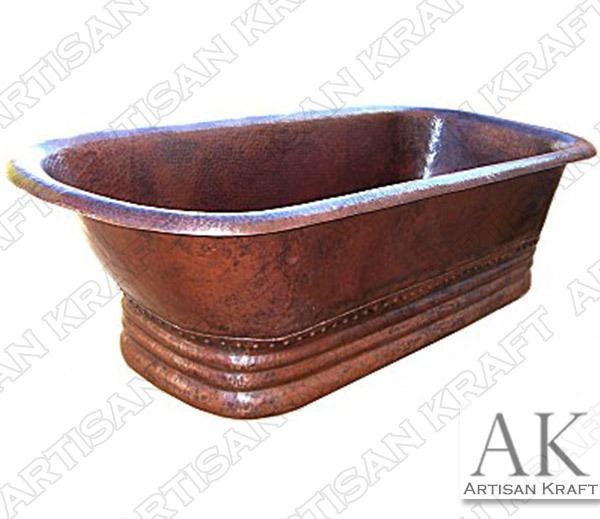 Freestanding copper tubs have been the choice for soaking tubs for centuries. 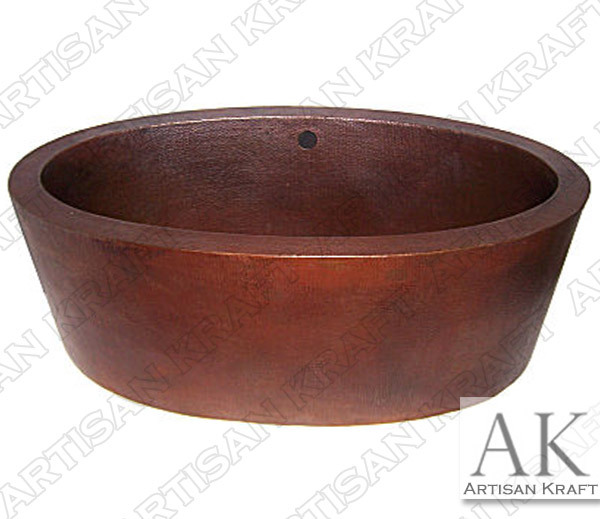 They come in different finishes like hammered or smooth. The interior can also be nickel plated which looks like silver. 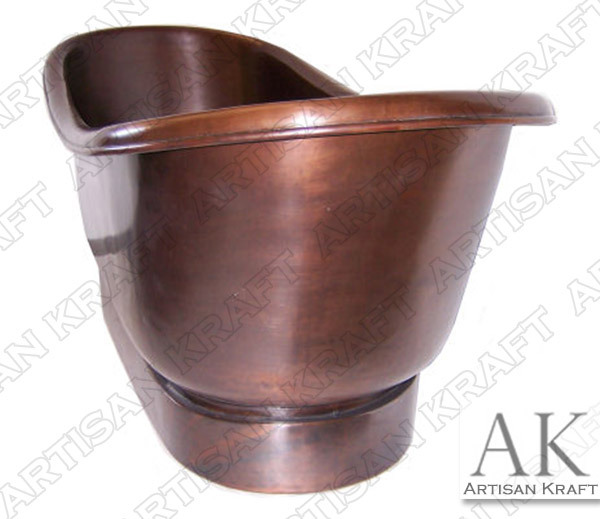 The pedestals come in various finished or a clawfoot might be an option. 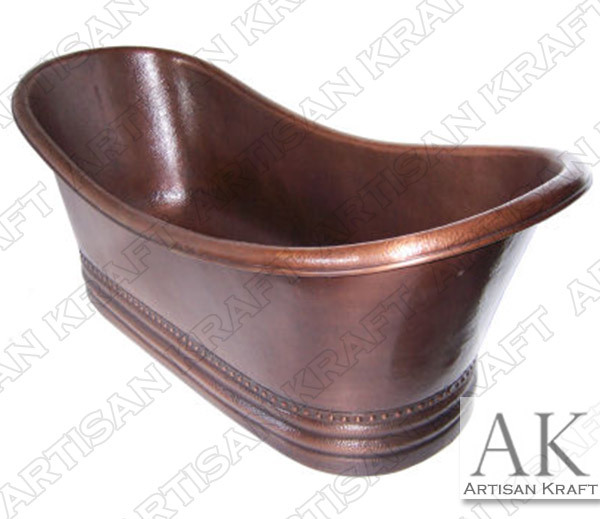 Our clawfoot copper bathtub has gold claws. 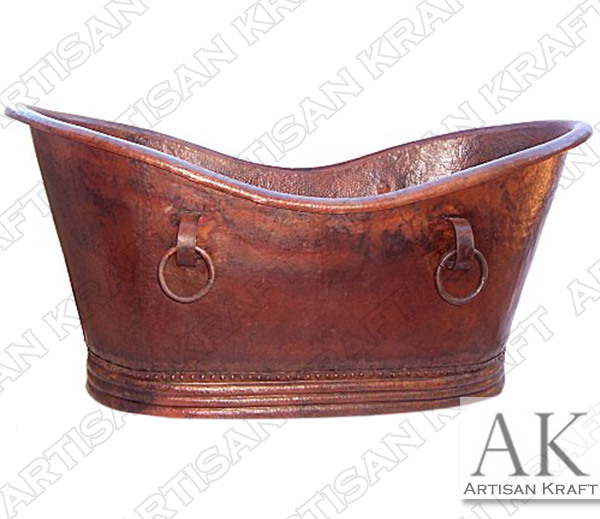 Double slipper and oval are the two more common shapes that these baths come in. 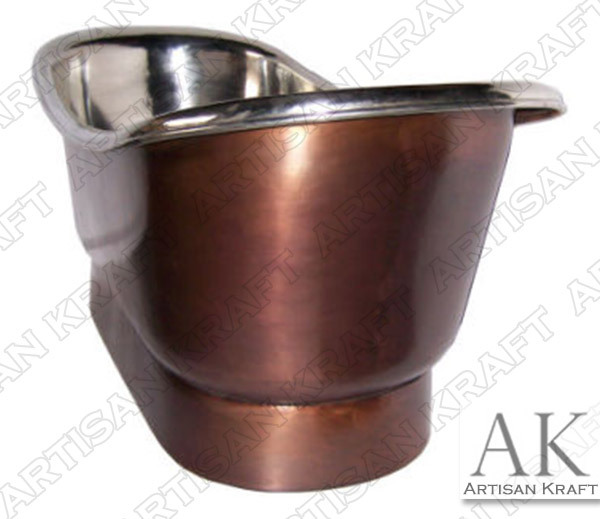 They are light weight and we ship them to anywhere in the country. If you are in California or in Taxes it is no problem for us. We have office in Chicago, IL and Los Angeles California. 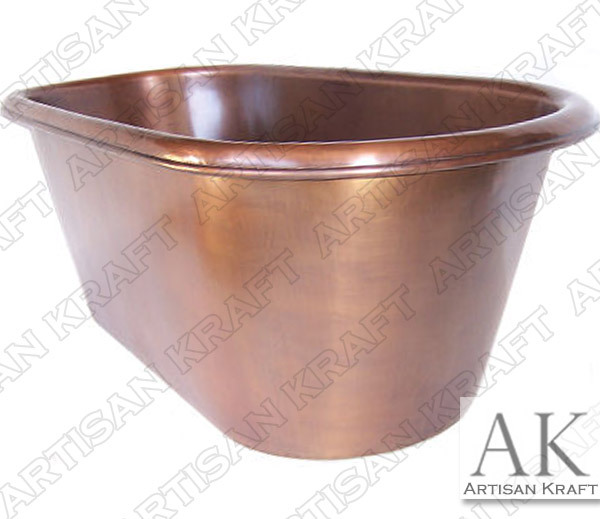 Visit our showroom to buy copper tubs from our store.